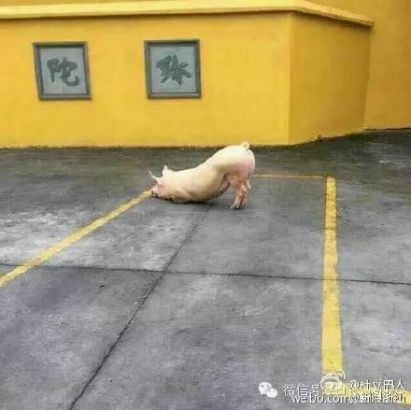 A video clip about a pig kneeling on its front legs in front of a temple has become the topic of heated discussions on Weibo. The pig knelt on its front legs outside of a temple as if it was worshiping the Buddha. In the footage, a pig knelt on its front legs outside the gate of a temple, where a Buddhist ceremony was going on. And the pig didn’t stand up until the monks finished chanting a Buddhist scripture towards it. 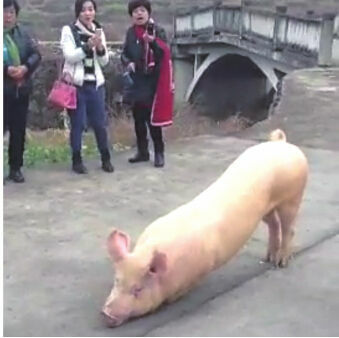 The onlookers said the pig was psychic as if it was on a pilgrimage for new year blessings. However, experts said that kneeling on the front legs is just a common posture for pigs to rest whenever it is tired of running. It might just be a coincidence that it rested outside the temple. 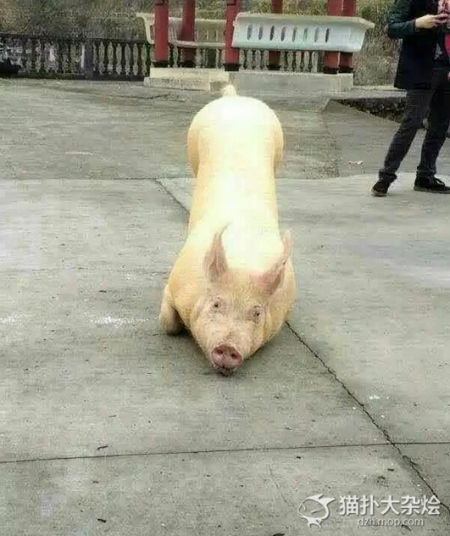 A policeman even said the pig might be suffering a disease concerning the lack of vitamin E, since a low spirit and kneeling on front legs frequently are among the symptoms of the disease. The video was taken in front of a temple in Yongjia county, Wenzhou city of Zhejiang province. The pig was from a hogpen on the hill opposite the temple. 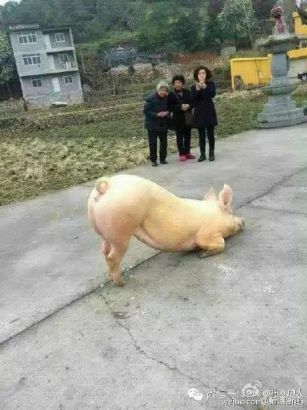 It fled out with two other pigs in the morning of February 22, and wasn’t captured until the afternoon, according to its master, Mr. Huang. The pigs were already slaughtered by the evening of February 22, but Huang said if he had known about the worshipping story, he wouldn’t have sent them to the butcher’s. Huang has been raising the pig for over a year. It weighed only about 100 kg when it first came to him, and recently it reached almost 150 kg. 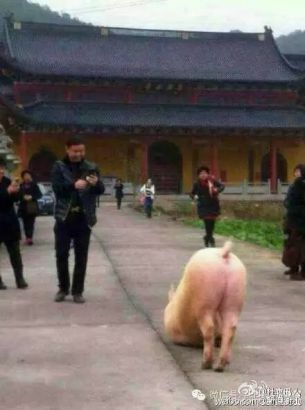 Huang was surprised about the video showing his pig “worshipping” outside the temple. He said he had never seen any of his pigs doing this before. And none of his pigs was diagnosed with any disease. “This is really awkward. If the pigs were scared, they should have ran away instead of making that strange posture and let everyone watch,” Huang said. He expressed regrets for slaughtering the pig.